Patat Restaurant - Delicious food enchants with authentic dishes. 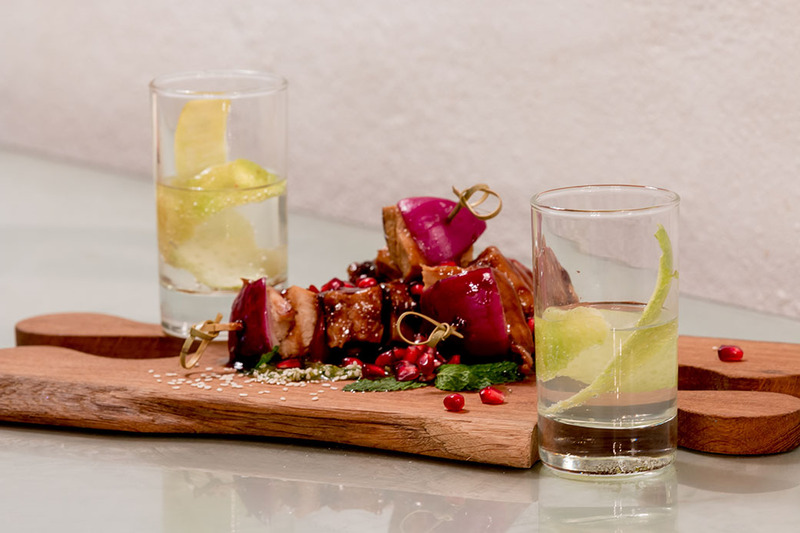 Your stay with us would not be complete without enjoying a fusion of flavours from our restaurant’s kitchen. 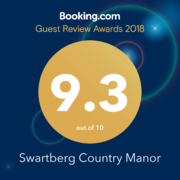 At the heart of our hospitality is the desire to make all our guests feel like they’ve come home, and our honest, delicious food enchants with authentic dishes that incorporate the vast medley of unique ingredients that make up South African cuisine. The Patat Restaurant, with its classically stylish décor, is a haven for relaxed dining and good conversation. Our hand-picked wine menu offers a delectable mix of South African wines. 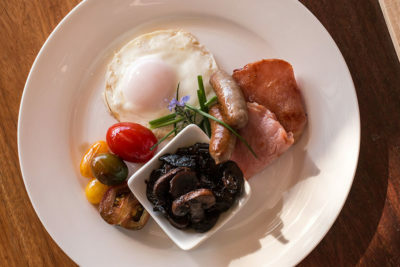 Guests who stay with us can wake up to the aromas of a freshly cooked breakfast and linger a little longer on the rolling lush grounds of the manor with an exquisite picnic sourced from local providers – allowing you to experience real country fare. 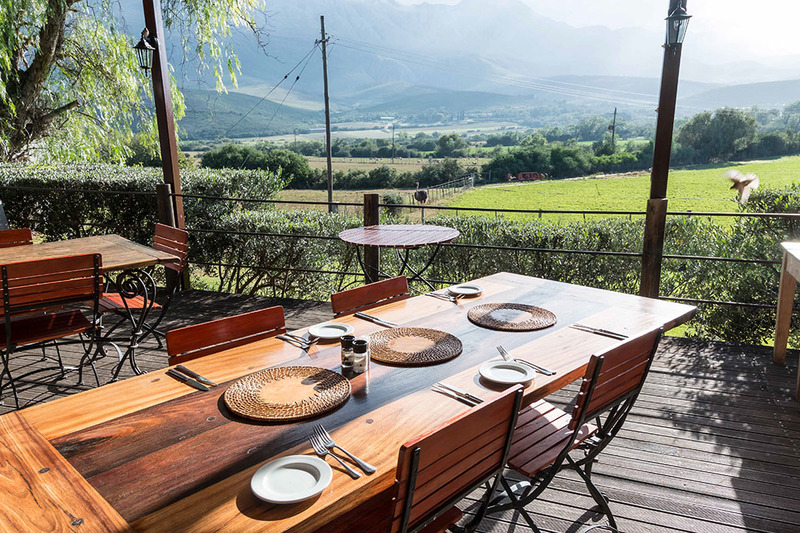 Round-off your evenings by enjoying a sundowner on the open deck of the restaurant and watch the Karoo sun paint the mountain in various shades of crimson. Enjoy the best of local flavours and ingredients at the hands of our head chef Lene. 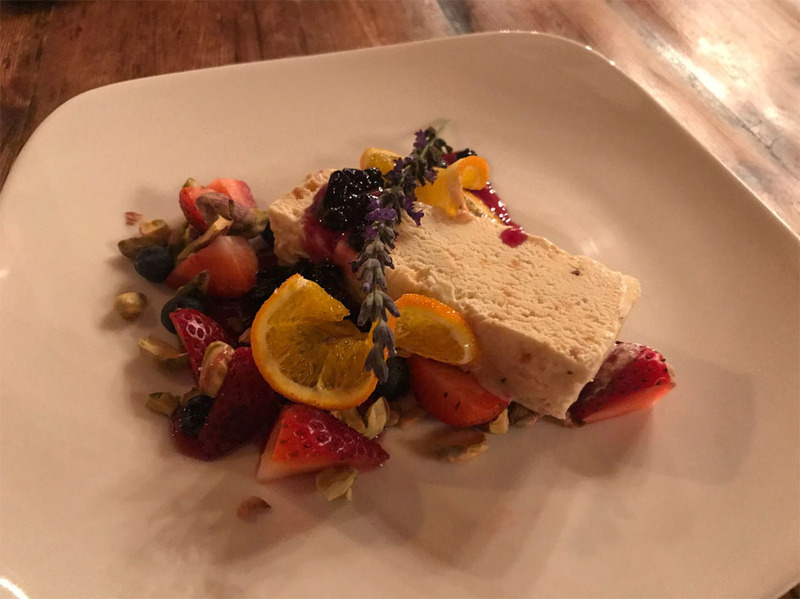 Catering to every palate and occasion, we strive to offer sumptuous cuisine that has been finely prepared with precision and passion, utilizing fresh, local ingredients. 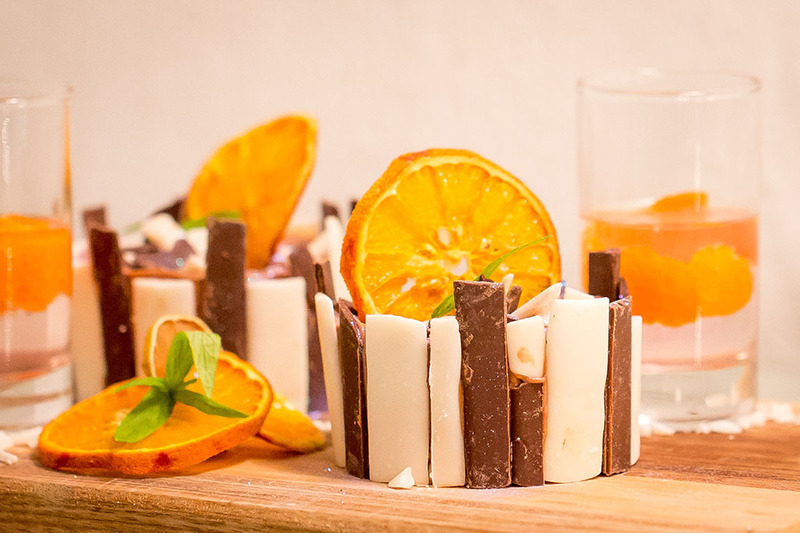 Whether you’re a food enthusiast, or simply want to sample South African flavours, we believe you’ll be impressed with our seasonally styled offerings. 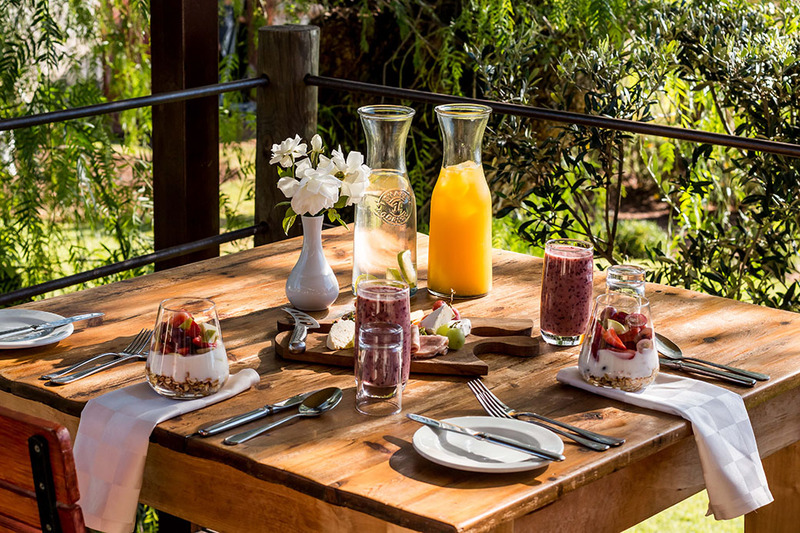 As the weather gets warmer, we encourage our guests to enjoy al fresco eating on our beautiful lawns with our Gourmet Picnics – the essential Summer dining experience. 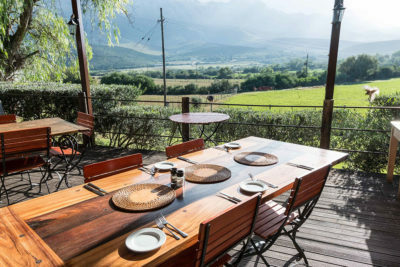 From as little as R165pp, you can tuck into freshly made bread, homemade pesto and humus, a variety of cold meats and locally sourced cheeses and preserves…not forgetting a bottle of Tangled Tree wine, designed especially for picnics. 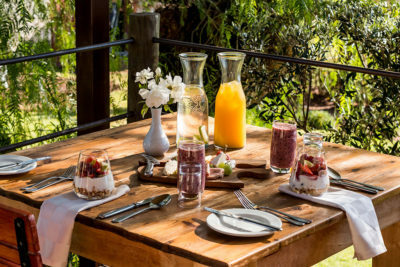 We also encourage guests to customize their choices, if we have a full days’ notice in advance, and we’re always keen to recommend local delicacies. Each month we offer a new pairing experience to delight the taste buds, drawing on inspiration from our local area. Our chefs create a unique dining experience that will change the way you view food, as well as introducing you to locally crafted gin, wine and beer.